Fly nonstop from BTR to Houston on United, Dallas on American or Atlanta on Delta. From there you’re a short hop away from finding your heart in San Francisco. Stroll along the bustling waterfront at Fisherman’s Wharf, and sample the chocolatey indulgences at nearby Ghirardelli Square. Make a great escape to the infamous penitentiary, “The Rock,” on Alcatraz Island. Experience the culture and heritage of SF’s Chinatown, the world’s largest outside of Asia. 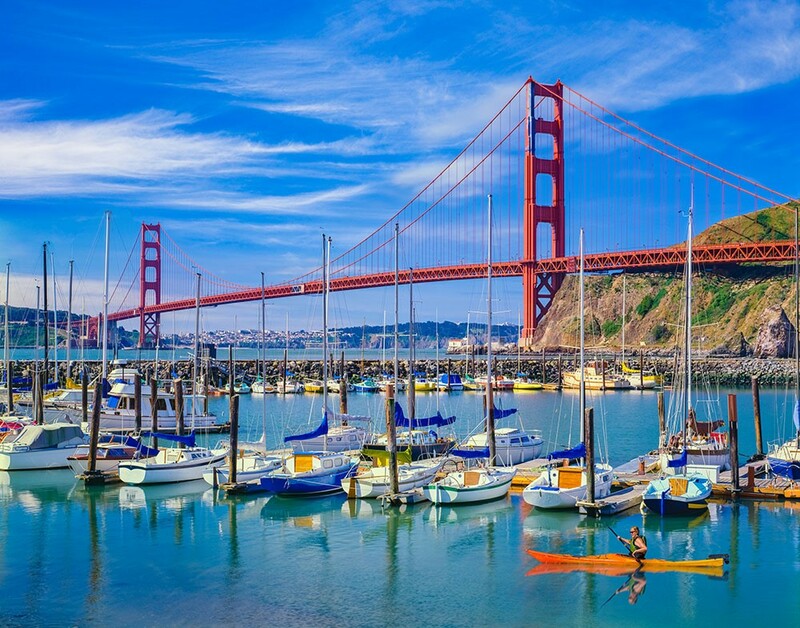 Take an amazing drive across the colorful Golden Gate Bridge. Then pop up to the 2019 Sonoma International Film Festival for the best of indie films and exceptional wines. Visit your favorite travel site for roundtrip fares as low as $389. And be sure to check out www.flybtr.com for more trip ideas.